We’re back, just like warm sunshine, green grass, and flowers in bloom! 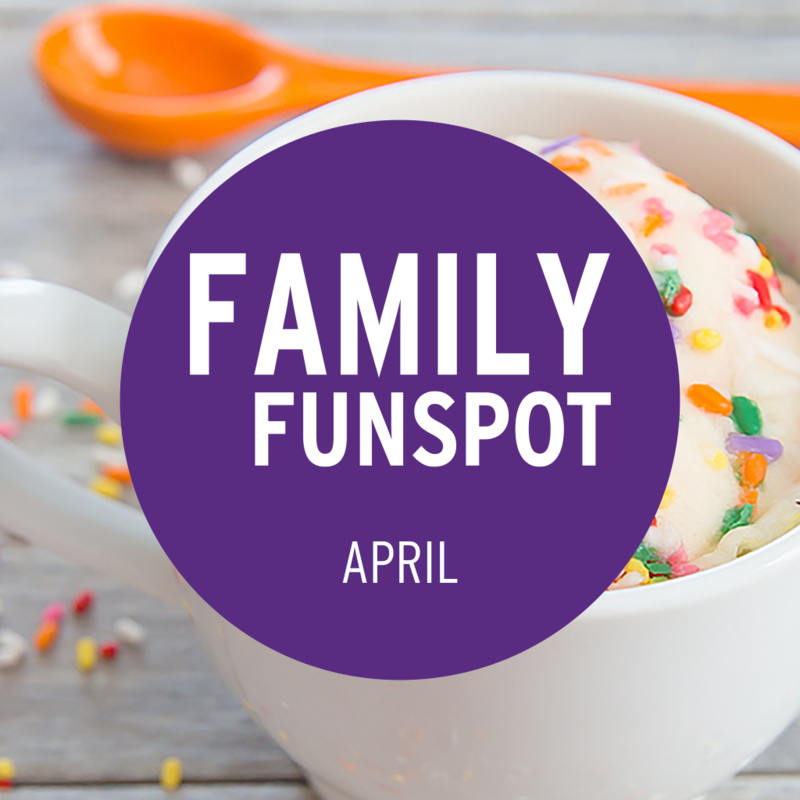 This month we’ll feature cheerful, tasty and colorful activities to help you spring into action this season. These Easter eggs are perfect when placed in a window. The transparency of the tissue paper casts a colorful glow when the sun shines through. Take a piece of white construction paper and draw an egg shape on it. Take the plastic cups and fill with a mixture of half glue and half water. Have the kids tear pieces of the different colors of tissue paper—they can be in strips, circles, squares—any shape they choose. 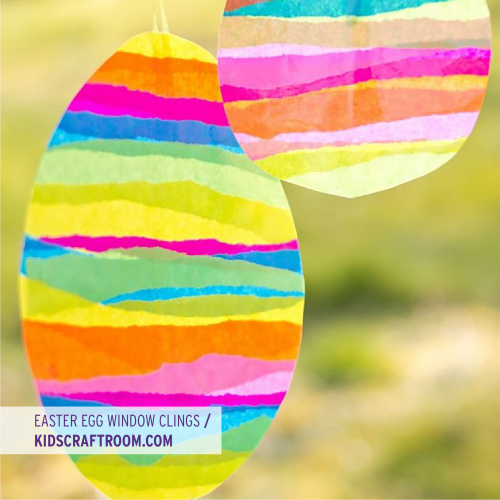 Now, have the kids “paint” a little of the glue and water mixture onto the construction paper with the egg shape. Next, the kids can begin to add pieces of tissue, one color at a time on top of the glue. As they arrange each piece in place, they will then use more of the glue and water mixture to “paint” over the tissue, adhering each piece flat against the surface of the egg. This continues until the egg shape is filled with pattern and color and resembles stained glass. Let the project dry thoroughly and have the kids use the scissors to cut out their egg, following the outline you drew for them. Last, use the paper punch to make a hole at the top of the egg. Thread the ribbon or string through the hole and tie the ribbon into a loop. Place a suction cup on the window and hang the egg from it! April showers bring May flowers, but this cool science experiment adds a colorful rainbow to your day! Fill your container with tap water. Pour a bit of food coloring into each shallow dish. You may use as many colors as you like. Add a few tablespoons of water into the shallow dishes and mix a few drops of food coloring in to make rainbow colors. The most concentrated the color, the more vibrant the rainbow will be. Have the children use an eye dropper to add the “rainbow” color of their choice to the top of the shaving foam cloud. If the color seems to be running slow—have them pour the color on top of the cloud. 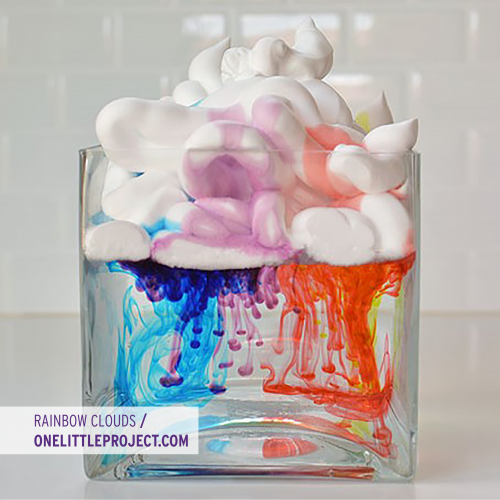 Watch carefully as the food coloring makes its way through the shaving foam cloud and into the water creating a rainstorm of beautiful color! Happy rainbow making! We’ll see you next week when we’ll be featuring an Easter craft! This is a fun baking experience, and very easy to do with children of any age. It’s also a great birthday treat, rainy day snack, or playdate activity! Combine the two cake mixes together in the Ziplock bag. Let the kids manipulate and mix the dry ingredients inside the ziplocked bag. Give each child a mug. 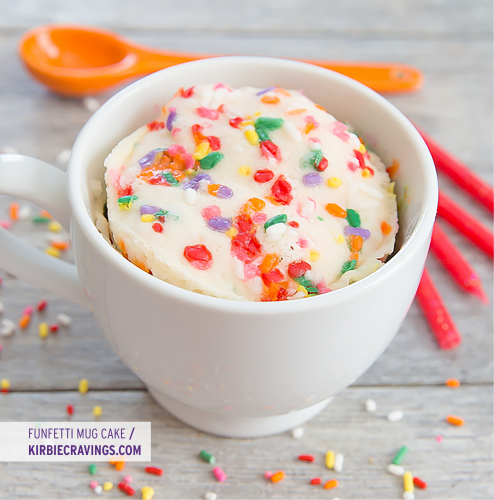 Let each mug-baker measure out 3 scoops of cake mix using the tablespoon. Next, use the same measuring cup and add 2 tablespoons of water to the dry cake mix and stir thoroughly. If you would like, add the sprinkles to the top before baking. You can also add chocolate chips, nuts or other tasty add-ins for even more deliciousness. Wanna go crazy? Add some gummy bears! Place the mug in the microwave and cook for 1 minute. The cake should have a spongy texture—like the surface of the moon! If the edges appear to be a little soupy—just add another 10-20 seconds to the bake time. Before handing the mug to a child, be certain it’s cool enough to handle. Ceramic material holds onto heat when you use a microwave. For a special treat, add a scoop of ice cream on top of your mug cake.